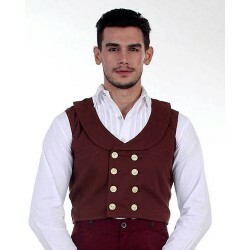 The Classic Double-breasted Work Vest is perfect for an English gentleman to conduct his business in town. 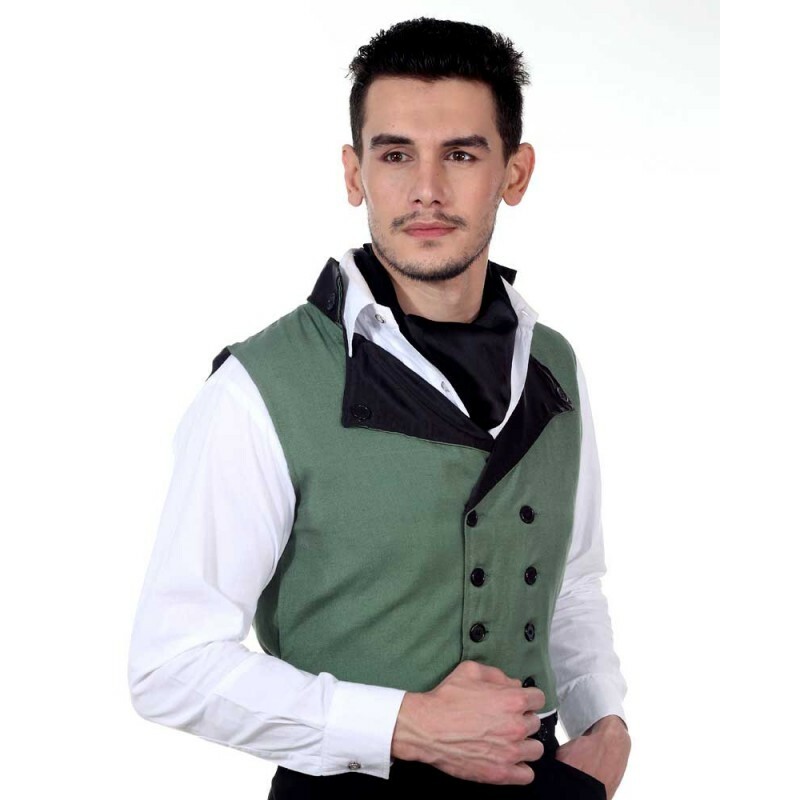 The waistcoat made in green blended linen fabric has linen front and back with contrasting satin collar and lapels. 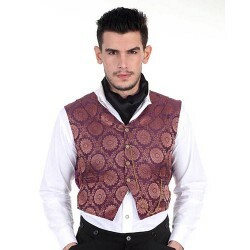 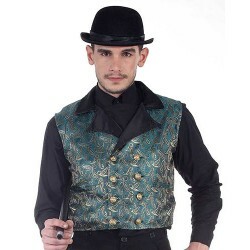 The waistcoat is lined with satin and has large buttons on collar, lapels and in front. 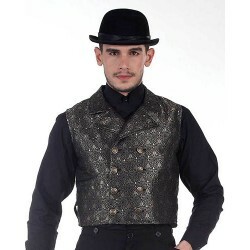 Hip 33"-35" 37"-39" 41"-43" 45"-47"
Arm Length from Shoulder 23" 24" 25" 25"
Steampunk Clockwork VestGive a dashing twist to your work day wardrobe with our Clockwork Vest. 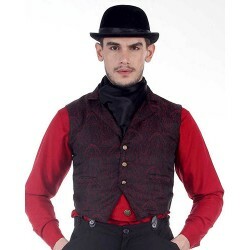  ..
Steampunk Double Breasted Brown Engineer VestThis waist coat will bring a touch of rich, re..